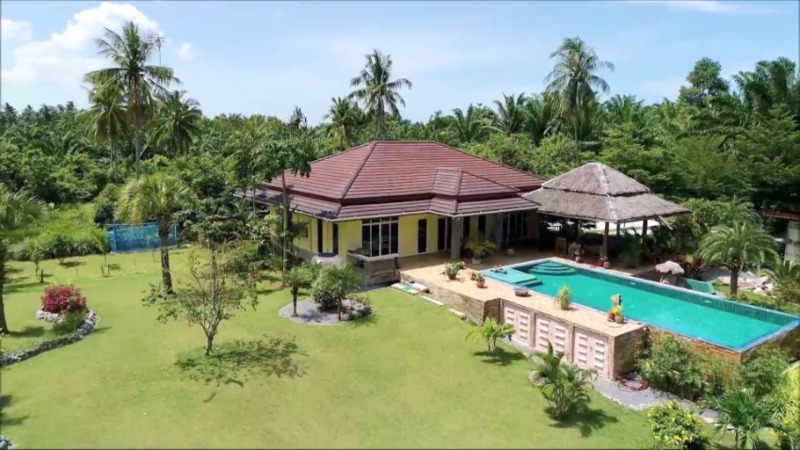 The “Villa Sumalee” project is located in the south of Phuket island, in a quiet area of Rawai, surrounded by picturesque mountains, other villas developments and houses of local residents. Just short drives away are grocery stores such as Macro, Tesco Lotus and Villa Market, international kindergartens and primary schools, Lemon Green and Shell gas stations, post office and local Thai banks offices. Also only 10 minutes driving away are: - Chalong Bay and Pier - the departure point for most sea excursions, scuba diving - and deep-sea fishing - just 2.9 km away; - The famous market of fresh seafood on Rawai Beach - 4.6 km . ; - One of the best and most beautiful beaches of Phuket - Nai Harn - just a 10 minute drive or 6.7 km. 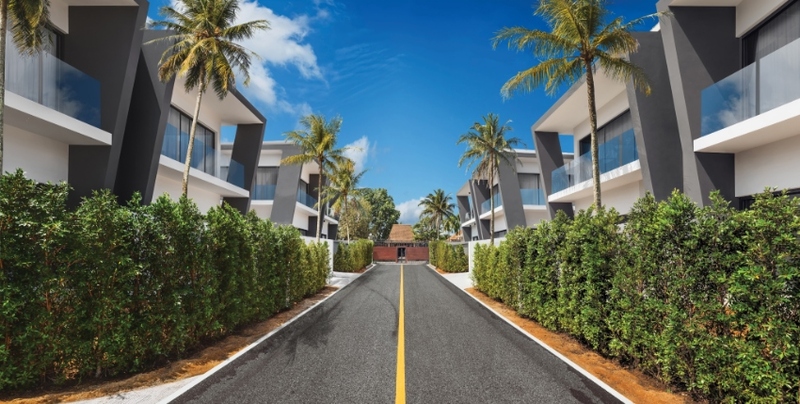 At the project’s gated area located 13 townhouses and a common swimming pool with sun loungers. Units arranged in two rows and grouped in twin houses, for two owners each. The height of each townhouse is 7.4 m., internal living area is 108.8 square meters, 2 floors, 2 bedrooms, 3 bathrooms, parking port for one car and a lawn area in front of living room with approximate area of 27 square meters *. 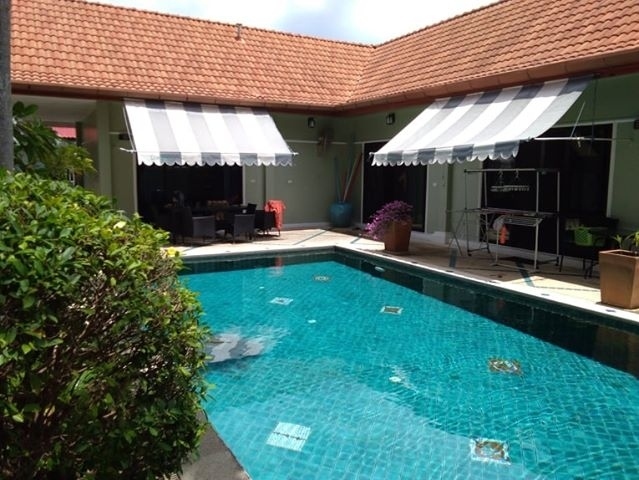 Single story Pool Villa Gated.8x4m pool,Jacuzzi in Master B room. Vaulted ceilings, Generous rooms, built in closets, Euro style kitchen, Trop Garden. Cul De Sac.Quiet area Close to Shopping ,Villa market. Home pro Village, Makro. 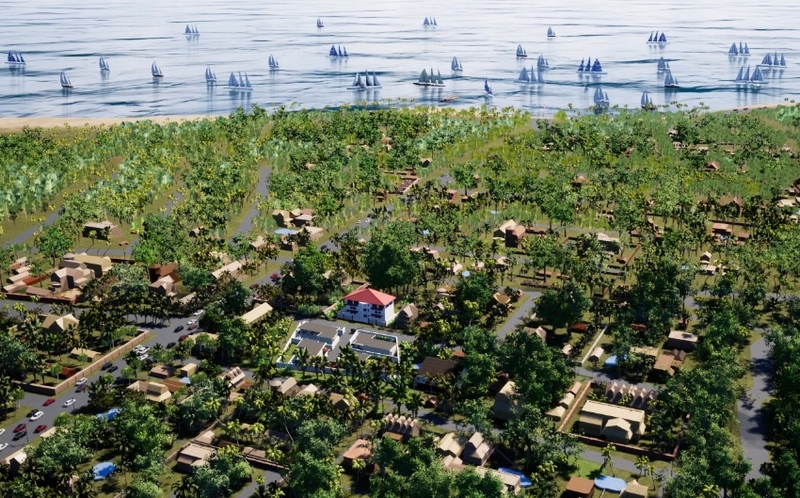 Schools Restaurants Beaches Rawai and Nai Harn 10 mins.